How Many Beers In A Bottle Of Wine? 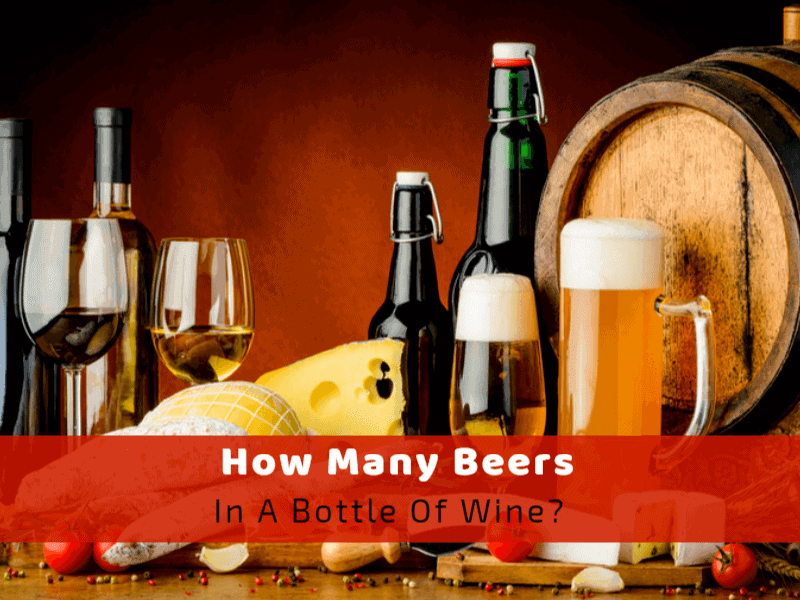 >> How Many Beers In A Bottle Of Wine? Beer and wine divide so spectacularly across the word. Notwithstanding the taste, there are variances in body responses and effects in your health. Most frequent questions asked by users are, is one more calorific than the other? What benefit does each have? Is there a difference in hangover? How many beers in a bottle of wine? To illustrate the different quantity levels between beer and wine here are some of the statistics that given. Red wine - 13.5 is equal to 750 ml of ABV in a standard bottle. Miller beer - 750ml is equal to 4.2 ABV in a 350 ml. Using the above statistic, here is a break down on beer and wine qualities. A 13.5 ml of wine is equal to 0.18 units of alcohol; beer, on the other hand, has 4.2 units of ABV in 0.011864 alcohol level per ml. It takes 1138 ml of beer to match the wine. 1138 ml of beer equals 3.2 beers. It is understood that 6.35 beers since wine has 3.2 times more alcohol, this implies that you would say 2250 ml of beer to equal a bottle of wine which is 6.4 beers. The National Institutes of Health (NIH) report shows that alcohol of any quantity of any brand has 14 grams of pure, undiluted ethanol. An ordinary glass of wine has approximately 12% ABV; on the other hand, beer has only 5%. While both these drinks contain a little number of minerals and same content of antioxidants, the wine has slightly more phytochemical resveratrol, linked to heart disease. Recent research revealed that beer consumption reduces the risk of diabetes. The rule is typical that one beer is equal to a glass of wine and one highball. There are 4-5 glasses of alcohol in a bottle of wine. It depends on the beer size, the alcohol quantity of the beer, the alcohol content of the wine, and the size of the wine glass and. Generally, wine ranges between 5.5 percent ABV in low-level alcohol wines to 20 percent ABV for fortified wines. If wine contains 15 percent ABV, in 750 mL, 112.5 mL contains pure alcohol. When you know the ABV in your alcohol, you can do your calculation yourself. Here are some of the assumptions you need to know while doing your calculation. As compared to beer, wine contains a wide variety of ABV. If you are concerned only with portions of alcohol, it is advisable to consume from 1.5 ounces to 11 ounces at an equal amount of alcohol. To ensure you are not exceeding the required amount of alcohol it is desirable to use guidelines to be safe. In countries like the United States, a standard drink is considered an alcoholic beverage containing 14 grams of pure liquor. That is 0.6 pure alcohol liquid ounces. None of the alcoholic beverages include pure alcohol meaning a standard drink holds more than 0.6 fluid ounces. Table wine has 12 percent alcohol. This makes five fluid ounces of wine a standard drink while fortified wines are stronger. Beer and wine contain around five percent alcohol. A standard drink is considered to have 12 fluid ounces. Most drinks are said to contain other congeners. The evidence is however ambiguous. Although certain dark spirits like bourbon do seem to produce a worse hangover than beer and wine so far seem to be equal. The narrative out there is that a glass of wine a day could help revitalizes thus dropping the chances of diabetes, heart disease, and high blood pressure. This life-giving nourishment comes from polyphenols found primarily in red wine. It soothes swelling and mop up damaging chemicals our body. Beer is missing from these health notices. It is essential to note that it is wine it contains polyphenols. Its benefits, however, seem to be modest. It is clear that neither beer nor wine gives you a free pass to binge drink, it is important to drink in moderation. When you compare the two on its effect on the body, wine slightly edges beer as the better medicine. Some anthropologists suggested that our taste for beer might have planted the seeds of agriculture and civilization itself. The next time you are in a pub take time to contemplate on this fact. Taking both wine and beer is not bad for you, it is essential however to moderate amounts taken. It is a benefit to your heart as it lowers your chances of getting gallstones and diabetes. Other evidence suggests that wine and beer consumption may increase breast cancer risk as both contain substantial amounts of calories. 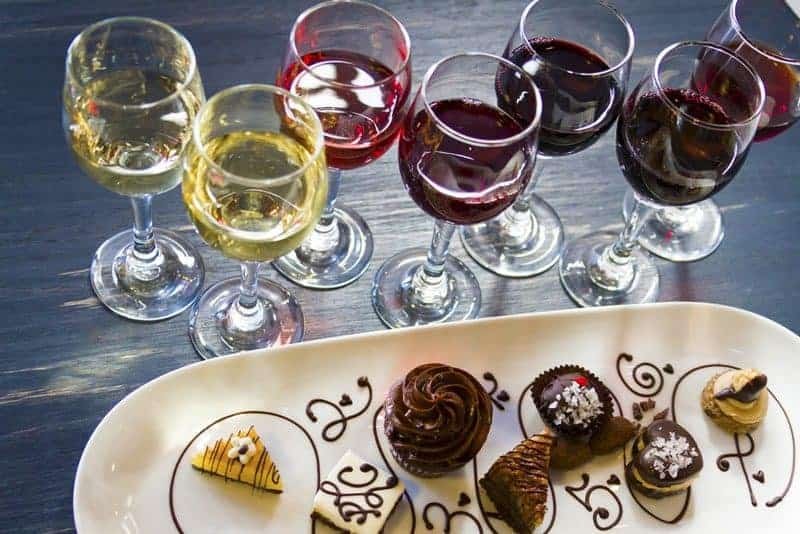 Even if you drink moderate amounts, a drink for women and two drinks for men getting too many calories from any food or beverages which causes weight gain, knowing the calorie count of your favorite wine or beer can help you decide if it is worth it. Little white wine is not so bad, for as long as you stay with the suggested serving size an average of 5 ounces. This implies that 5-ounce glass of white wine has 121 calories. The calories vary significantly among the different types of wine. For instance, a 5-ounce glass of Chardonnay has 123 calories, while the same size glass of Riesling has 118 calories. The least caloric white wine is the Muller Thurgau with 112 calories per 5-ounce glass. Red wine has a higher amount of calories than white wine, with an average of 125 calories per drink. A 5-ounce glass of red Zinfandel, for example, is a little higher than average, with 129 calories and a Cabernet Sauvignon is a little less than average, with just 122 calories. The lowest calories red wine is Gamay, with 115 calories per 5-ounce glass. Regular beer is likely to add calories to your body compared to wine. On average, a 12-ounce glass of consistent beer, which is considered one drink, contains 153 calories. Beer calories vary for different brands. A 12-ounce portion of Budweiser contains 146 calories, while the same quantity of Blue Moon contains 171 calories. The beer that is believed to contain the highest amount of calories is the Sierra Nevada Bigfoot. It has 330 calories per 12-ounce. Regular beer has the highest calorie quantity while a light beer has the lowest, with 103 calories per 12-ounce serving. Bud Light is a slightly higher than regular, has approximately 110 calories per serving, while Miller Light is a little lower with an average of 96 calories per serving. The most inferior calorie light beer choice is Budweiser Select 55. It has 55 calories per 12-ounce serving. Before choosing which drink to take, a bottle of the booze, it may be credible to increase a general vision of what alcohol indeed ingested, known as ethyl alcohol or ethanol, is produced by fermenting grains and fruits. The fermentation process requires yeast to break down the ingredients, subsequently creating juice. Amusingly, beer is sometimes called a food related to its caloric content, offering seven calories per gram. It holds an advanced calorie load compared to other foods like carbohydrate and protein which contains four calories per gram, though lower in calories compared to fat, providing nine calories per gram. Unlike the three macronutrients, it is not considered a proper food in a balanced diet. It is mostly associated with minimal nutrients necessary to source and nourishes the body. How do wine and beer differs and is one more beneficial than the other? This a fundamental question asked by many people. Even though both wine and beer come with their pros and cons, the whole of liquor comes with its own set of cautions. The general guideline for alcohol intake per day for men and women are limited to one drink. Exceeding the alcohol recommendation can have harmful consequences on the body. Initial reservations are linked with the feeling of feeling high or drunk. Following high intake, both drinks may interfere with the appropriate function of the brain and probably the central nervous system. Notwithstanding the alcohol levels, both can inhibit the liver’s ability to maintain blood sugar levels and interfere with proper nutrient absorption. Also, it deprives the essential body nutrients, particularly when liquor begins to replace nutritious foods. This may start surfacing nutritional differences and increase the risk conditions such as cancer, gout, heart disease, fatigue, anemia, and other health concerns. Despite the possible benefits of both alcoholic drinks, most health experts came to an agreement that nondrinkers do not have to drink beer or wine bottle to obtain any suggested nutrient. If one cylinder is preferred of the other making a switch is not necessary. It is essential to stick to the recommended serving sizes to reduce the risk of a short-term hangover or long-term health consequences.